Your data (may be TB) is in your remote cluster. You want to access and interactively play with your data in Jupyter notebook. 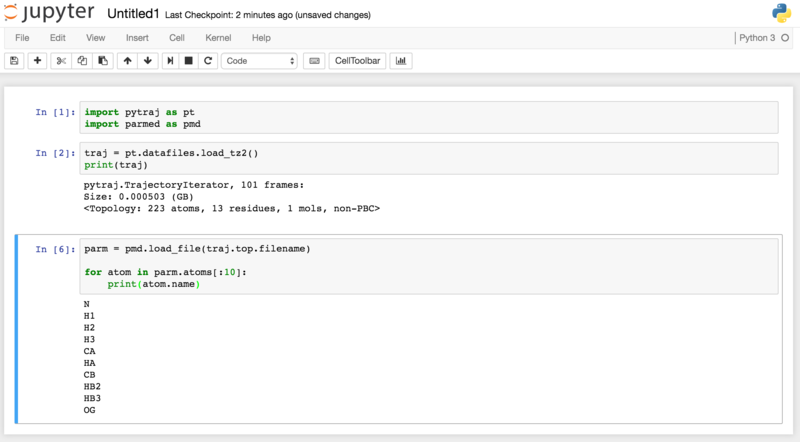 You can use xwin to open your Jupyter notebook on remote host. However, this kind of connection is quite slow. You can follow each step below to have fast connection via SSH port forwarding. [I 15:12:45.032 NotebookApp] Use Control-C to stop this server and shut down all kernels (twice to skip confirmation). Now open web browser, type "localhost:8000"
Type the command in each cell and then hit Shift-Enter to run and to create new Cell.